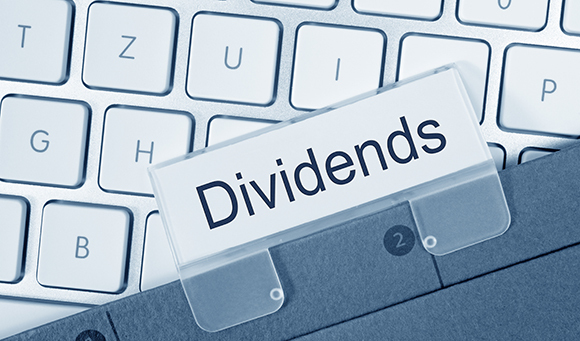 What is the Dividend Allowance? In 2016 the rules on the taxation of dividends changed significantly, with the abolition of the 10% tax credit and the introduction of a dividend allowance. The dividend allowance exists in addition to an individual’s personal allowance and savings allowances. It means that dividend income within the dividend allowance is tax-free. However, the dividend allowance does not reduce total income for tax purposes, and dividends within the allowance still count towards the appropriate basic or higher rate bands. This means that the dividend allowance effectively delivers tax-relief at the lowest tax rate an individual is paying on their dividends; rather than the highest. From April 2018 the dividend allowance will be just £2,000, falling from £5,000. The change is designed to target shareholder-directors in business who take dividends on top of a salary, as well as savers with investments in stocks and shares typically worth over £50,000 outside Individual Savings Accounts (ISAs). The Treasury estimates that 2.27 million individuals will be directly affected by the reduction in the dividend allowance from April 2018, with savers expected to account for half of this figure. It expects the average loss to be around £315. However, as the table illustrates, this figure could be much higher for those paying tax at the higher or additional rate. Every individual is entitled to their own dividend allowance. If your investment portfolio yields an average 3%, approximately £67,000 will be protected from income tax. If your portfolio exceeds this amount, you might want to consider transferring some shares to your spouse or civil partner, thus spreading your investment to ensure that you utilise each person’s individual allowance. The cut in the dividend allowance means tax-free ISAs may play a more important role in your investment strategy. The overall annual subscription limit for ISAs is £20,000 for 2018/19. With funds in an ISA exempt from tax, it is important to utilise this allowance before the start of a new tax year. Speak to an independent financial adviser (IFA) or your bank manager about investing in ISAs. Capital gains tax (CGT) is the tax on the profit when you sell (or ‘dispose of’) an asset that has increased in value. You pay CGT on any gains above the annual exemption, which is your annual tax-free amount for capital gains purposes. The current annual exemption for 2018/19 is £11,700. Married couples and civil partners can also make transfers to the other partner prior to selling. Any share transfer between such couples is at a ‘no gain no loss’ price, with the result that the partner receiving the shares will effectively acquire them at the transferor’s base cost and so will make the gain in selling the shares. If you have income from employment or self-employment you may also effectively reduce your marginal rate of tax on dividends by increasing pension contributions and taking advantage of the available tax relief. Although an accountant can advise you on the tax breaks surrounding pensions, you’ll need to speak to an independent financial adviser (IFA) about which pension products might be suitable for you. If you think you may be affected by the reduction in the Dividend Allowance, please contact us to discuss the matter in more detail. With our help and advice, it may be possible to minimise the potential impact on your finances.